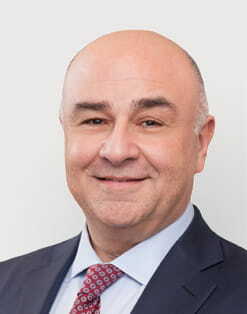 David Jacob was appointed Group Chief Executive Officer and a member of GAM Holding AG’s Group Management Board in November 2018. He has also served as a member of the Board of Directors of GAM Holding AG since April 2017. Prior to that, he was the chief executive officer of Rogge Global Partners Ltd, a position he held from 2014 until 2016. Between 2004 and 2013, David was with Henderson Global Investors where he held a number of senior roles including member of the Board of Directors and chief investment officer. Prior to joining Henderson, David held a variety of senior roles at UBS Global Asset Management, Merrill Lynch Investment Managers and JPMorgan Asset Management. David is a chartered financial analyst and holds a BSc in economics from The Wharton School, University of Pennsylvania. He was born in 1964 and is a US and UK citizen.